"TENNESSEE HAS MORE TREE SPECIES THAN ALL OF EUROPE COMBINED." 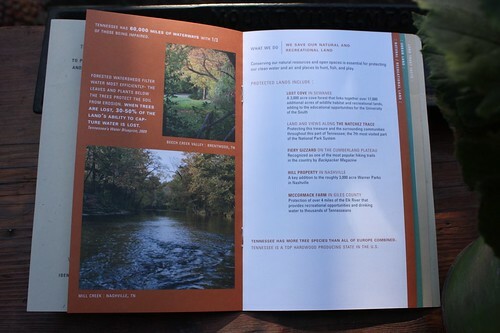 This statement reflects one of the powerful tidbits compiled for the Land Trust for Tennesse's "little book of facts." 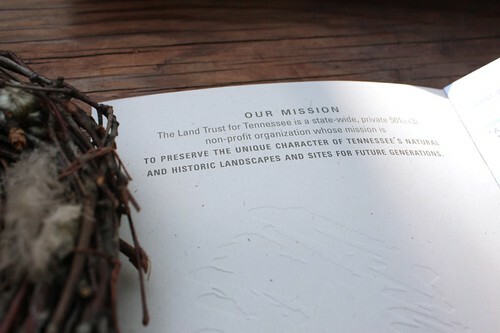 Tenn Hens has worked with the Land Trust in the past and feels a deep connection to their mission of preserving the unique landscape of our state. Tennessee is incredibly lucky to have such a passionate and active organization. 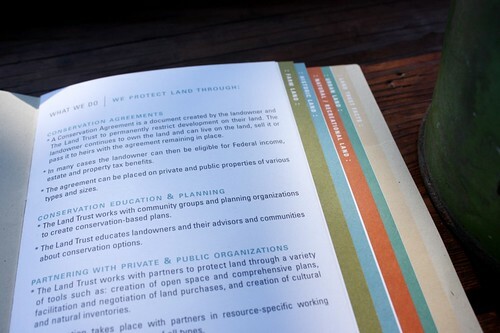 The vision was to create an informative booklet that clearly expresses the message of the Land Trust. 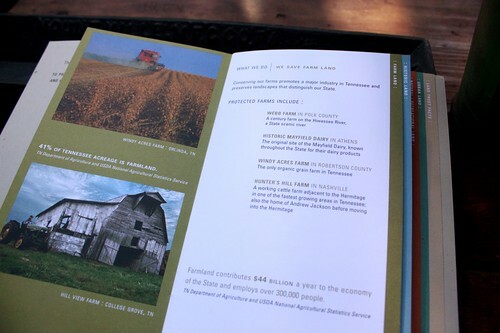 We designed the brochure by highlighting sections of each service area: Farm Land - Historic Land - Natural/Recreational Land - Urban Land. 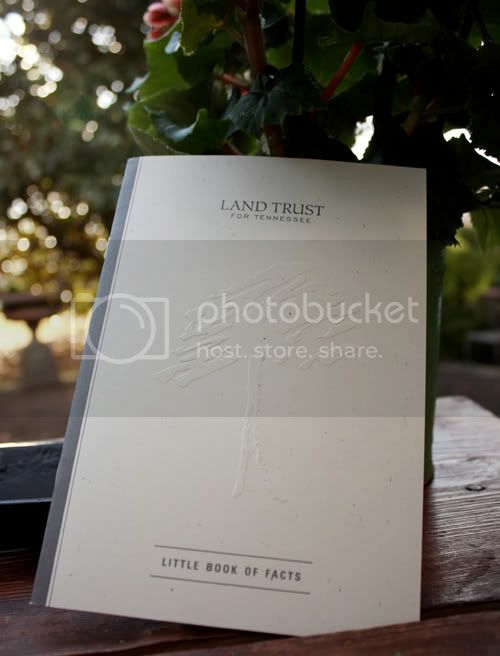 This creates an informative and concise booklet of facts for the Land Trust to use out in the community as they continue to spread their message. Oh and check out the embossed tree on the cover. 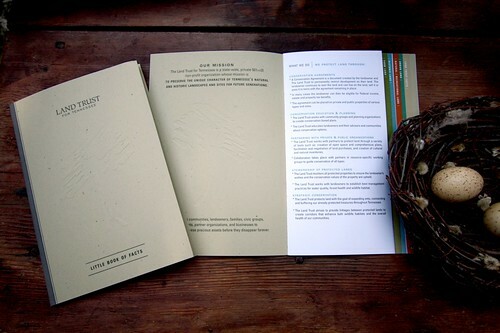 It's a very textural and subtle effect on the recycled paper. So lovely!